What my kids & I created last year. 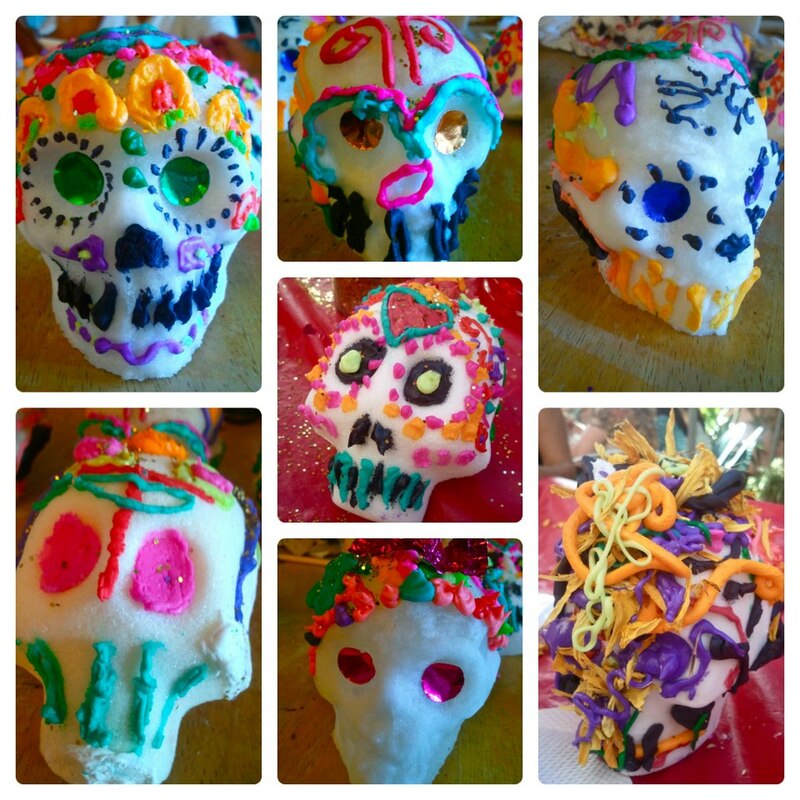 Last year, my kids and took this awesome Sugar Skull workshop with my good friend Maribel from Back From Tomboctou. It was the bomb! We had glitter all over. My kids went nuts with all the frosting and feathers, and foil too. So much fun! Take you to the next Sugar Skull Level! 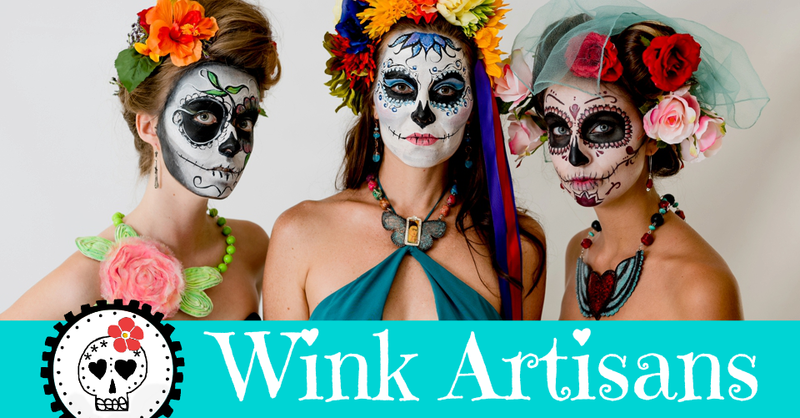 In this workshop we will make your choice of Traditional Sugar Skulls in several sizes. 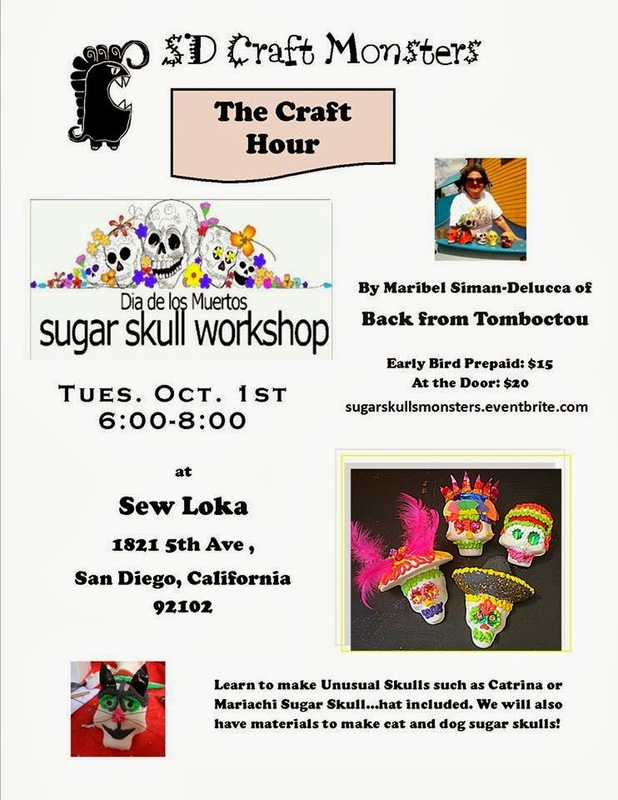 We will teach you how to make a Catrina or Mariachi Sugar Skull… hat included. We will also have materials to make cat and dog sugar skulls! 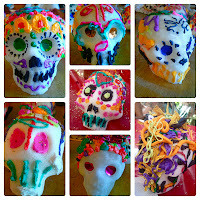 Instructions on how to make sugar skulls with a mold will be provided. Come join us and sweeten Day of the Dead Craft! The Craft Hour is subject to changes and cancellations without prior notice. I don't know about you, but that kitty sugar skull keeps calling my name... must be my dearly departed cat, Aspro, who wants to be part of the fun this year. So, who's joining me? Get your ticket and see you there next Tuesday!